This is, I warn you dear reader, no proper post. Written on a tiny inflatable boat off the southern Cretan coast, where my phone occasionally links up to civilised society, I manage to pick up signals from a predictably distressed Europe. Dear Yani, i’ve been reading your warnings “This is a systemic Eurozone crisis” -through interviews, articles etc, for quite some time now and i think that we are finally talking about a full recognition of the essence of the “modest proposal”. At last, It’s seems that politicians in Europe -let’s hope that it’s not too late- are dealing with it under an expanded view. Let’s hope that there will be an antidote solution (like the “modest proposal”) of the poisonous recipe and not another temporary plaster on the bleeding trauma. It was certain that you couldn’t resist to comment, even through other’s statements, on the ongoing drama…. While listening to Tremonti (live) I thought the analogy was very apt. Sure, to me it brought different images than the one’s he wanted to convey. I kind of thought of the rich dancing while the ship was sinking and being more preoccupied whether their trip was ruined because “Leonardo Di Caprio” dared stepped on to the upper deck and robbed their little “virgin”. Minister Noonan’s comments are perhaps most poignant. I can only speak from an Irish perspective, but the level of frustration leading to Euroskepticism in Ireland has been astounding in the past year – simply due to a lack of acceptance (or understanding) by other European countries that this is a collective European problem. The fact is that Ireland is absorbing foolish private bank debt, lent from foolish private European banks and foolish central banks – attempting to protect Europe from default and CDS-mageddon. And aside all that, that shouldn’t even matter because having one monetary policy should automatically mean being responsible in policy for the whole euro area. It is time for Euro area to ‘Go Hard or Go Home’ – either dive in head first or the euro project is over. ;-))) , well , mind the international monetary currents . and you think you are one of those that might be lucky to be on a lifeboat? Keep dancing and be careful what you wish for. Another study showed more than 80% in favor of letting Greece go bust. We are gaining momentum. 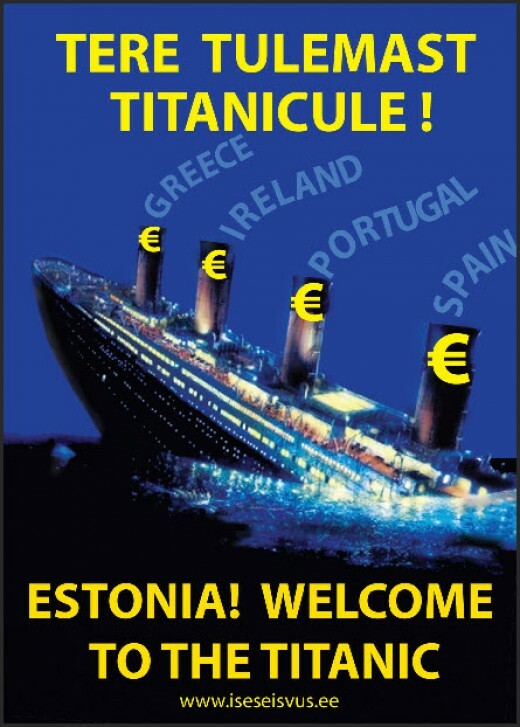 The Euro will not survive 2012! I heard someone today (EU Parliamentarian) say that a new European war shouldn’t be thought as impropable in the not so distant future. in your tweets you express your deep doubt about the stress tests, which at least some banks in Europe did not past. Do you have evidence to back your doubts? Have already analyzed the results or did you know of the criteria beforehand? The interest of the banking system and the political system – especially in northern Europe – to present the banking system as sound and healthy, exactly to the opposite of the picture you have been drawing the last months, is obvious. But, at last, we want those issues to be discussed to the point of mathematical proof: what does the passing – or not – of the recent stress test mean for our banks? Why – if – are the stress tests insufficient?